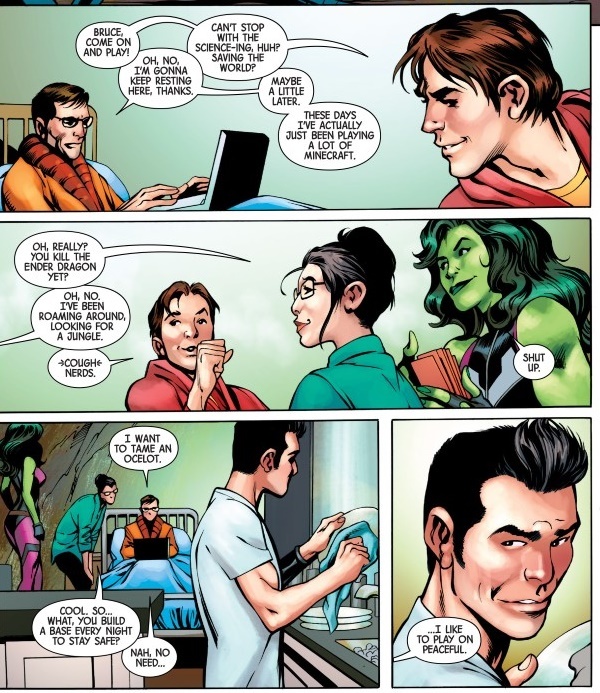 One of Marvel's currently-running comic series is The Totally Awesome Hulk, which has been running since last year. 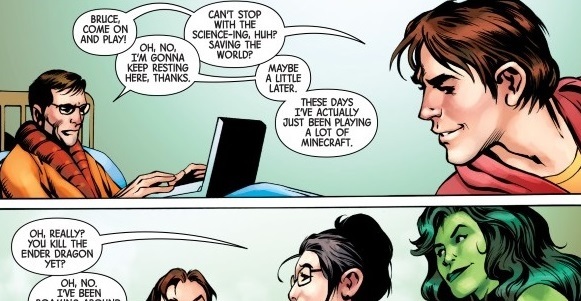 Reddit user wolfpaladin pointed out that the latest issue of The Totally Awesome Hulk features Bruce Banner (the human that transoforms into the Hulk when enraged, if you're not familiar with him) playing Minecraft in bed. Pretty funny, right? Head down to the source link below for the original post on Reddit.